Therapy, medication … and a climbing excursion? Such expeditions may prove effective additions to treating depression, researchers say. Depressed adults who climbed reported feeling better than those in relaxation therapy did, according to a study published in August in Psychology Research and Behavior Management. The paper builds on earlier findings that climbing-oriented treatment programs can relieve symptoms of depression, but without more tightly executed studies; experts say they can’t be sure it’s climbing that makes the difference. The trial’s 40 participants were diagnosed with moderate to severe depression or bipolar disorder. Each person chose a one-time 30-minute relaxation therapy or a 2.5-hour climbing and reflection session, while maintaining their normal medical and psychotherapy treatments. On pre- and post-activity questionnaires, patients reported to what degree they felt emotions such as “upset,” “hopeless,” “brave,” and “grateful” in the previous week. Researchers then used these responses to gauge good and bad feelings, coping abilities like pride or self-confidence, and depressiveness. Both groups reported improvement, but the climbing group’s good feelings rose and depressiveness fell more than those in the relaxation group, by amounts the researchers called “moderate to large.” Self-reported emotions can’t prove objective progress but do reflect a patient’s belief that he or she feels better. However, the study would have been stronger if participants hadn’t chosen their own program, since people often expect their choices to be more effective, says co-author Merle Reuter, a Ph.D. candidate at the University of Tübingen. Adding another physical activity group, like walking, would have also allowed for an apples-to-apples comparison of exercise types. Moreover, by focusing on the mood-lifting effects of a single session, the researchers don’t know if the gains will stick. 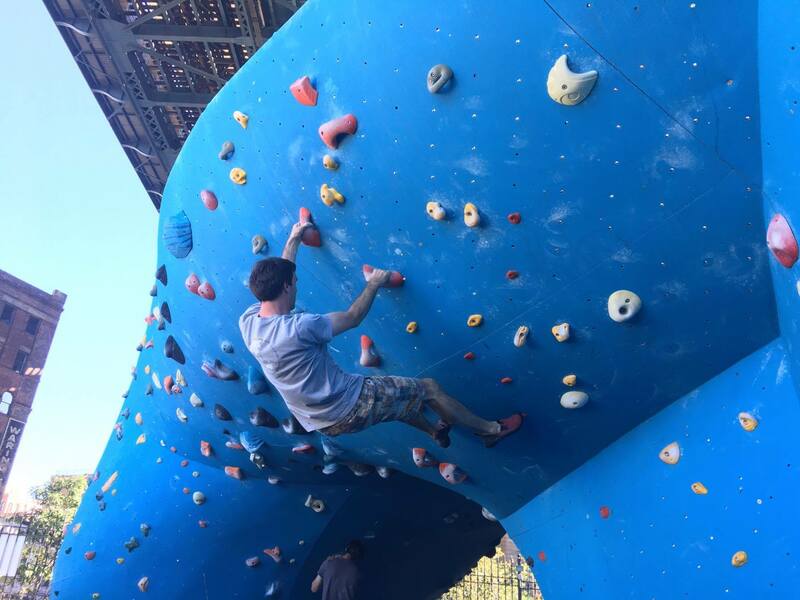 But a 2015 study published in BMC Psychiatry found that participants of a program including bouldering (climbing ropeless near the ground) reported milder depression symptoms, including fatigue and oversleeping, even eight weeks after the treatment. Ultimately though, teasing out climbing’s effect is tough. Many participants in both studies were also taking antidepressants, and the 2015 study added mindfulness exercises too. “You no longer know if it’s really exercise that’s having the benefit, or if it’s the psychological component,” says Gary Cooney, psychiatry resident at Scotland’s Gartnavel Royal Hospital and first author of a widely-cited Cochrane Collaboration report on exercise and depression. He calls the central questions of both studies “worth pursuing,” but says he’s waiting for more rigorous research. The whole idea of exercise as a depression intervention needs more scrutiny, Cooney says. The Cochrane report analyzed nearly 40 studies on exercise and depression, and concluded that exercise does have a “moderate clinical effect,” but one that disappeared after excluding sloppier studies. Nevertheless, Reuter and Kleinstäuber speculate that climbing could be special. Its social aspect and engrossing nature could give it a leg up over typical exercises, they say, plus, it’s safer than people might think, with one injury per 5,000 climbing hours. One downside is the cost — monthly climbing passes can run twice as much as standard gym memberships. Another sloppily-conducted study with a 25 to 35 minute control (PMR) versus a 2.5 hour climbing intervention. Headline-grabbing bad science.